This product from ChessBaron: Separate all of the pieces. Can you rebuild the Panda-monium? 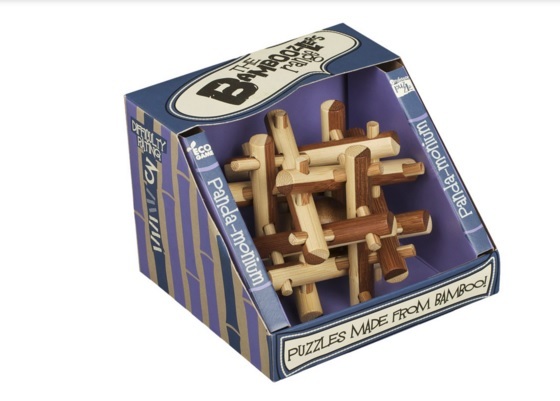 Puzzle info: Putting the first few bamboo bars into the correct position is the most difficult part of this challenge. Manage this, and the rest will follow.